NTU has achieved another milestone in its research data management and open access data sharing journey. 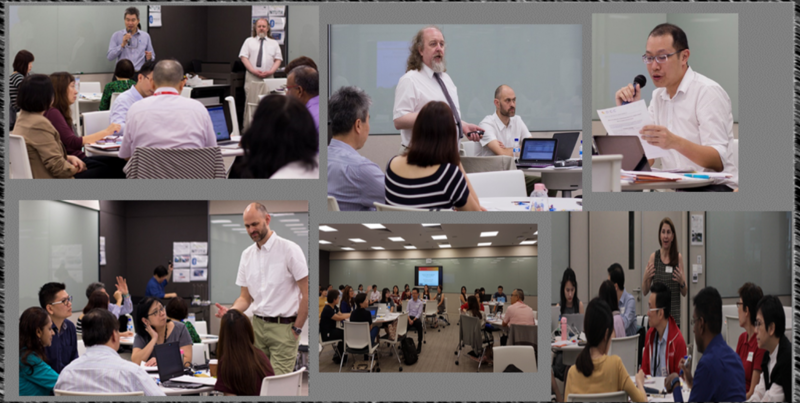 The NTU institutional open access research data repository, DR-NTU (Data) was launched by the NTU President Professor Bertil Andersson on 8 Nov 2017. In his speech, Professor Andersson noted that DR-NTU (Data) is the first one of its kind in Singapore. 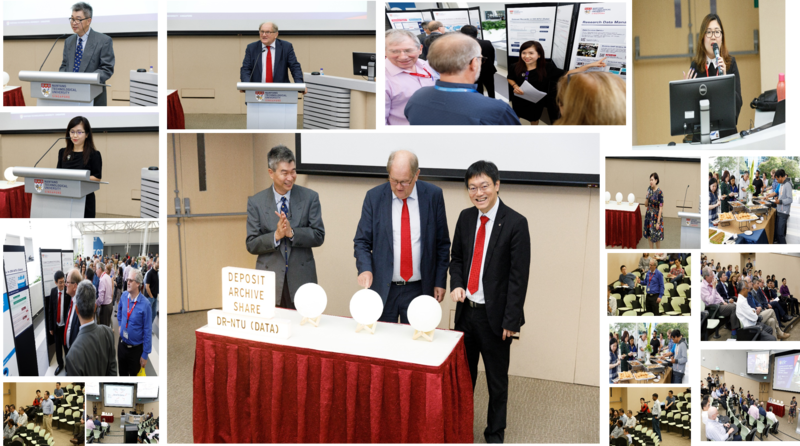 He encouraged NTU researchers to deposit, archive and share their final research data in DR-NTU (Data) in order to make their research data discoverable, accessible and reusable. As publicly funded research data are a public good, hence, it should be made openly available with as few restrictions as possible in a timely and responsible manner. He pointed out several benefits of open access data sharing. Firstly, it facilitates the opportunity to build on previous research results, thus resulting in improved quality of results. Secondly, it encourages collaboration and helps to avoid duplication of effort, thus resulting in greater efficiency. And thirdly, it helps to speed up innovation, which means faster progress to market means faster growth. Last but not least, it allows the involvement of citizens and society, hence improved transparency of the scientific process. More than 240 NTU researchers and staff witnessed magical touches by Professor Andersson, Professor Schubert Foo, Deputy Associate Provost (Information & Knowledge) and Professor Michael Khor, Director, Research Support Office and Bibliometrics Analysis, President’s Office on 3 touch lamps to kickstart the launch ceremony. Ms Chew Shu Wen, Assistant Director, OIKLS wrapped up the event by giving a demonstration on how to get started and how to upload and describe data files. Click here to view the slides. 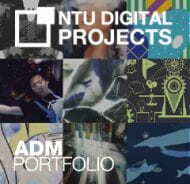 Click here to view the DR-NTU (Data) launch video. If you wish to deposit your data in DR-NTU (Data), or have further questions please contact us at library@ntu.edu.sg. 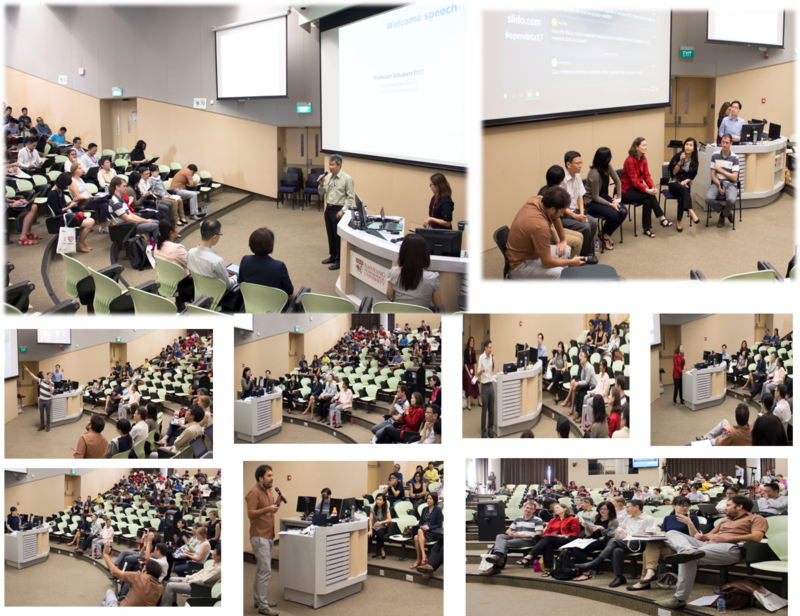 As part of 10th International Open Access Week, the Office of Information, Knowledge & Library Services (OIKLS) organised the panel discussion “Raising your Research visibility with Open Research Data” on 24 Oct 2017. About 200 participants including NTU faculty, research staff, PhD students, administrative staff as well as a few from external institutions attended the event. The event started with sneak previews of the NTU & NIE data repositories. The speakers from different disciplines presented their interesting data sharing experience and views followed by panel discussion. Participants were actively involved by posting their questions for panel discussion using the online platform (sli.do.com). Ms Goh Su Nee from OIKLS facilitated the panel discussion that had received 22 questions online as well as about 25 responses to 2 open-ended poll questions. Metadata & ontology in data sharing by Ms. Schusie SUN (WKWSCI). Data sharing involves so much work, is it really worth the time, effort and money? Any good balanced approach to share? It seems that NTU-DR system only for data that is used for a published paper. What about those that are not used now, but may be used many years later? How important is it to have space to store your working data? If I’m a young researcher, how can I get into a community who share data? If your institution offers you a platform to store your final data, would you use it? If a goverment body wants to get personal infomation from the anonymous data? Or private entity for commercial purposes? Any policy or options regarding these? How open are funding agencies in Singapore to data sharing? Can the data sharing process be set up to incorporate commercialisation concerns? 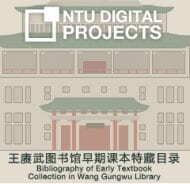 Is this accessible to scholars outside of NTU? In some indigenous communities, consent is collective not individual. What does it mean for one person to give consent when this is whole community decision? How does open access interface with ethical research protocols requiring anonymity for research participants? What are your thoughts on platforms like Sci-Hub and LibGen (pirate sites to bypass paywalled journals)? What if I have already deposited my final research dataset in another data repository? Can data be archived in more than one repository? why use NTU rather than international subject-specific site that has greater visibility? Is there a term of use for data deposited? Am I allowed to update the files deposited? Can I remove previous versions when I upload new version of data? Can I open my data with a permissive license that will allow commercial use? Will I still have access to DR-NTU (Data) when I leave NTU? Currently what type of data is accepted in the repository ? Only final datasets or raw data as well? When data is cited, how can it be tracked? Is NIE and NTU data repository similar? Poll Question 1: What would motivate/incentivize data sharing? Do you know other researchers in your discipline who's passionate about data sharing? How prevalent is the culture of data sharing in your discipline? Poll Question 2: How can NTU provide better support in data sharing? Provide standardised data definition and format and ontology so that data can be easily understand and share on NTU, Singapore and society. There is a thin line on the policy for data sharing . Should it be mandatory? If you have questions unanswered, come to find out more at our upcoming NTU open access data repository launch on 8 Nov 2017. 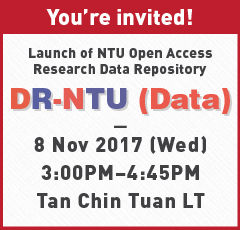 The official launch of NTU open access research data repository DR-NTU (Data) will be held on 8 November 2017 (Wednesday) at Tan Chin Tuan Lecture Theatre from 3.00 pm-4:45 pm. NTU President Professor Bertil Andersson will be the Guest-of-Honour for this event and will be invited to launch the DR-NTU (Data) together with Professor Schubert Foo and Professor Michael Khor. A Web GIS app combines data from different sources and location-based information. 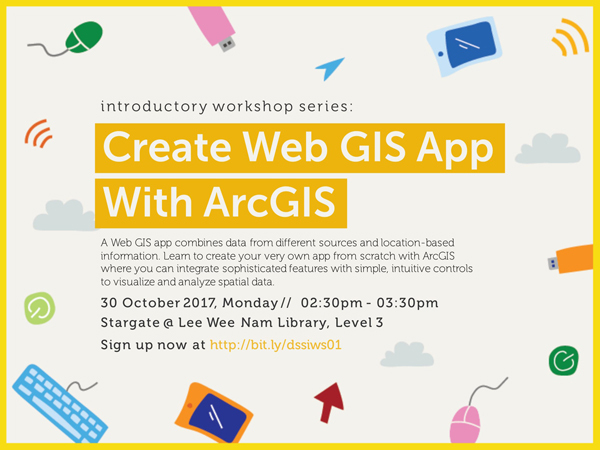 Learn to create your very own app from scratch with ArcGIS where you can integrate sophisticated features with simple, intuitive controls to visualize and analyze spatial data. ResearchGate, a popular networking and publications sharing site, has been accused of making millions of copyrighted papers freely available. While Elsevier, the American Chemical Society (ACS), Brill, Wiley and Wolters Kluwer are preparing to send takedown notices to ResearchGate, they have admitted that this approach “is not a viable long-term solution”. Hence, Elsevier and ACS have decided to take legal action against ResearchGate. 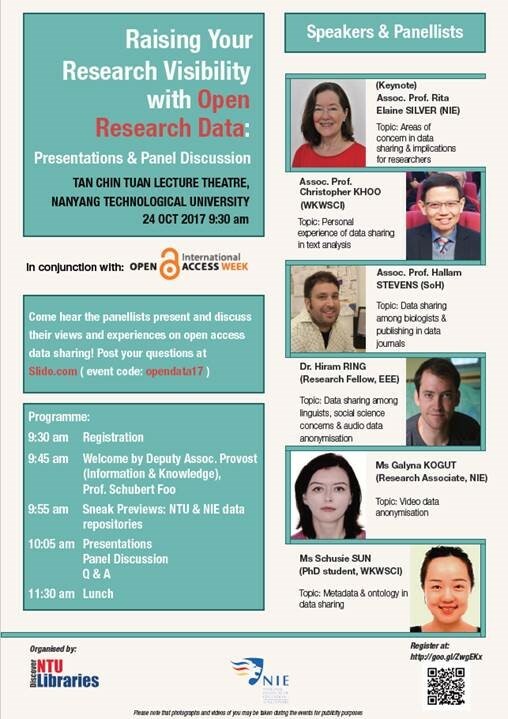 Raising your research visibility with open research data: presentations and panel discussion on 24 Oct, 9.30am to 11.30am, organised by Nanyang Technological University and National Institute of Education libraries. Click here for registration and details. Open Access (OA) publishing- books and journals articles: a talk organised by National University of Singapore Libraries, Oct 24, 2pm to 4pm. This talk will cover types of open access, costs of OA publishing, funders’ mandates, etc. As seats are limited, please register early. Check out other Open Access Week events taking place around the world here. Characteristics of dodgy journals: what to look out for? How to avoid the risk of submitting your research article to a journal of questionable repute? How to differentiate predatory journals from bona fide ones? Shamseer et al. (2017) analysed numerous predatory journals, open access journals and subscription-based journals and have identified 13 evidence-based characteristics of questionable journals. Some of them include spelling and grammatical errors on journal websites, promises of rapid publication, manuscripts are submitted via email, boast of a bogus impact factor, contact email address is non-professional, etc. In addition, we recommend that researchers use the “think, check, submit” checklist to help them select where to publish their works. It is a straightforward three-step process which is supported by organisations such as INASP, STM, OASPA and publishers such as Springer Nature and BioMed Central. As part of the International Open Access Week, the Office of Information, Knowledge & Library Services (OIKLS) is organizing the following panel discussion on 24 Oct 2017. Register now at http://goo.gl/ZwgEKx to reserve a seat and a bento lunch box! About the event: Six panellists have been invited to talk about their views and data sharing experiences. This will provide an opportunity for researchers and interested parties to learn more about how to prepare and share* research data which can increase their research visibility and understand other benefits. *According to the NTU Research Data Policy, NTU expects final research data to be made available for sharing where possible. 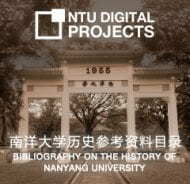 We are happy to announce that DR-NTU (Data), NTU’s institutional open access data repository is now ready for all NTU researchers to deposit their research data! Who can use DR-NTU (Data)? 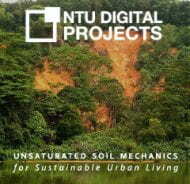 DR-NTU (Data) is currently accepting research data from NTU researchers only. 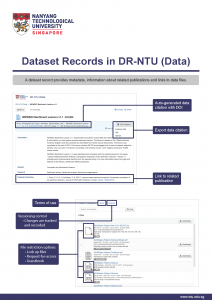 What kind of research data should NTU researchers deposit in DR-NTU (Data)? 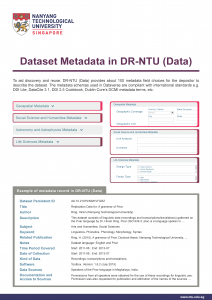 NTU researchers should deposit their final research datasets of their projects in DR-NTU (Data). Final research datasets consists of final versions of the data files that are produced after all analysis and manipulations. What types of file format are accepted by DR-NTU (Data)? DR-NTU (Data) can accept any file format. Up to 3.5 GB for each single file upload via LAN connection to NTU network (subject to network conditions). There is currently no limit per dataset or per dataverse. Contact research data librarians to upload files bigger than 3.5 GB. Do NTU researchers have to pay to use DR-NTU (Data)? No, it is absolutely free for all NTU researchers! How to upload datasets to DR-NTU (Data)? 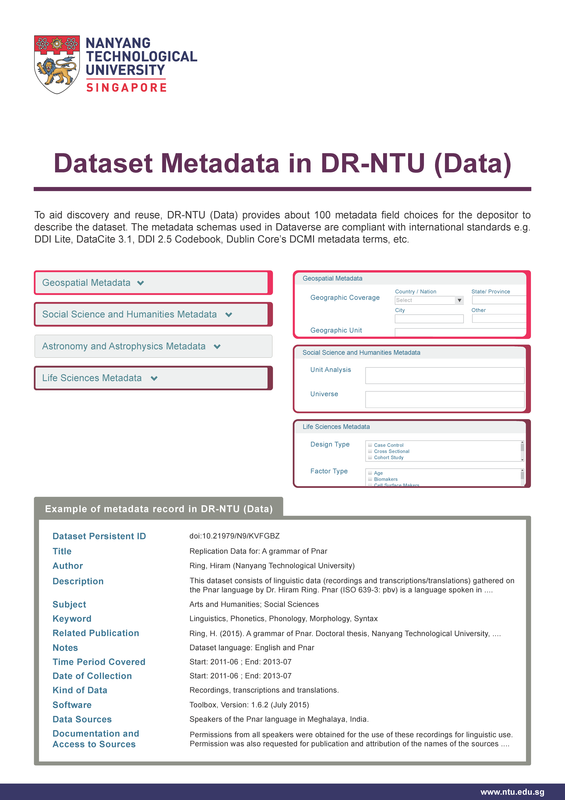 You can upload your research datasets directly to DR-NTU after creating an account using your NTU login. For more information, you can refer to the user guides for step-by-step instructions. We understand that first-time users may have many queries on the data deposit process. Fear not, we do provide a mediated deposit service. All you have to do is to contact the friendly research data librarians at NTU Libraries for help! 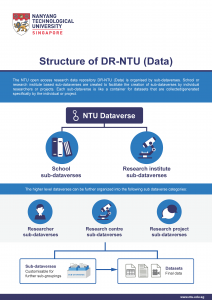 Why should NTU researchers use DR-NTU (Data)? Many research funders and institutions worldwide are implementing data sharing requirements in their funding or institutional policies (e.g. Wellcome Trust, National Science Foundation (US), National Institutes of Health). 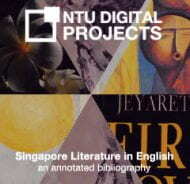 In NTU, research data are expected to be retained for at least 10 years. Furthermore, Principal Investigators (PIs) are required to deposit their final research data to the NTU Data Repository or external open access repository no later than the first online publication of the article (NTU Research Data Policy). 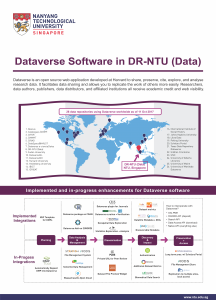 Since DR-NTU (Data) is free, researchers can save their research funds from paying subscription fees to commercial research data repositories. Other commercial or non-profit data repositories may shut down when lack of funding and they are not obligated ensure the long term preservation of deposited data. Research has shown that data sharing has led to higher research visibility and citation rates (Gleditsch, Metelits & Strand, 2003; Piwowar, Day & Fridsma, 2007; Ioannidis et al., 2009; Pienta, Alter & Lyle, 2010; Henneken & Accomazzi, 2011; Sears, 2011; Dorch, 2012; Piwowar & Vision, 2017). In addition, persistent identifiers (i.e. DOIs) and data citation will be generated for each dataset deposited successfully. The DOIs and data citations can encourage and help in data reuse and keeping track of data usage. Any other interesting features of DR-NTU (Data)? 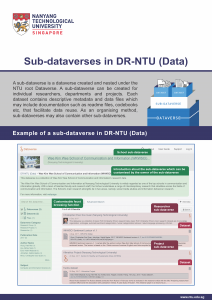 Sub-dataverses can be created by or for schools, research centres, project groups or individual researchers. What’s more, these sub-dataverses can be customized (themes, permissions, dataset templates, etc.) according to the needs of the group. 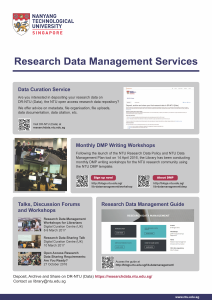 Apart from the regular DMP workshops, we would be lining up some workshops to highlight the features and let participants have a hand-on experience of using DR-NTU (Data). Please keep a lookout for the publicity emails and calls for registration! Nevertheless, if you can’t wait to learn more about DR-NTU (Data), you can arrange for a consultation session with the research data librarians too! NTU Libraries recognizes the important role its librarians will play as the University places greater emphasis on open access research data sharing. Data sharing is meaningful only when data is discoverable and reusable. The Digital Curation Centre (UK) was invited to conduct two workshops for librarians on 8th and 9th March 2017 to prepare them in potential new roles in research data management and sharing advocacy and advisory related services. The Digital Curation Centre (DCC) is an internationally-recognised centre of expertise in digital curation with a focus on building capability and skills for research data management. On the first day, the trainers, Kevin Ashley and Jonathan Rans shared with participants methods for engaging with researchers on the benefits of open data sharing and enable them to dispel common fears. Librarians had a chance to examine different approaches and discuss what might be adapted for the NTU context. The day ended with practical advice on supporting researchers to select, license and publish their data. Day 1 “Supporting open research at Nanyang Technological University” workshop slides and material: Introduction, Data selection licensing, Engaging researchers with services, Finding repository, How are researchers supported exercise on Data sharing barriers. On the second day, participants learned how to identify requirements for RDM support and were introduced to tools which facilitated gap analysis. One example was the use of the RISE (the Research Infrastructure Self Evaluation Framework) framework. Such self-assessment and planning tools will be useful as the University prepares to augment its technical and service infrastructure to support good research data management practices. Participants of the workshops wrapped up the 2-day workshop with comments like “Inspiring, makes me want to foray into RDM in the library” , “I am now more confident and have a deeper understanding of data management”. Day 2 “Supporting open research for librarians (advanced)” workshop slides and material: Introduction, Designing services model, Disciplinary data issues, Supporting data management planning.